When you install the P.O.S. 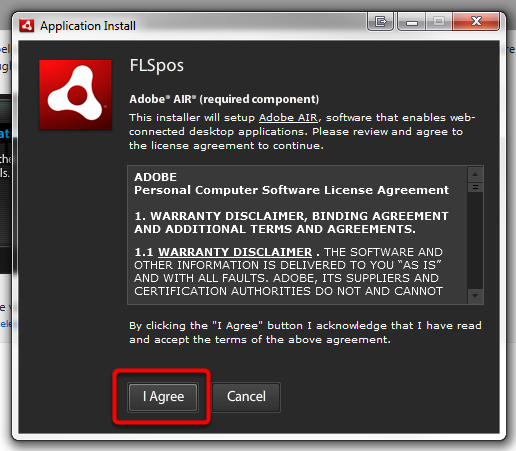 application on your computer, the Adobe AIR installation is initiated. 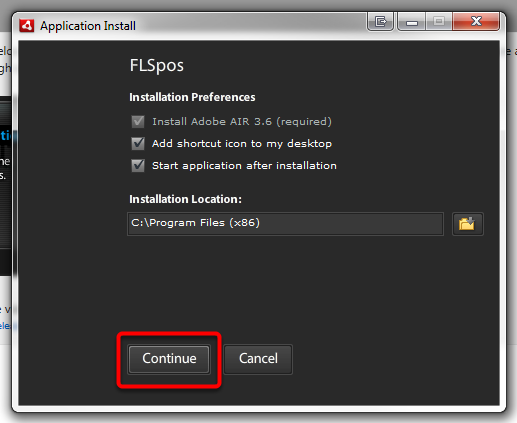 The Adobe AIR is installed along with the P.O.S. application. When installing the P.O.S. 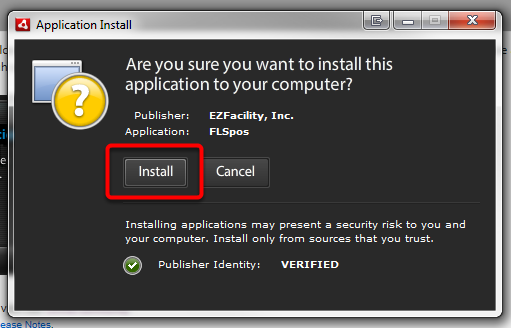 application, the application's installer sometimes attempts to connect to an Internet service to authenticate the identity of the application. 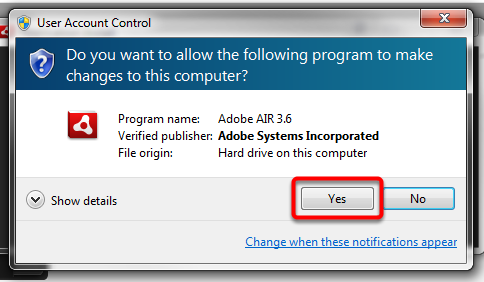 Antivirus or security software can report this attempt to connect to an Internet service; allow this connection to install the Adobe AIR application. For example, you could see an alert that says "P.O.S application installer.exe is attempting to connect to a DNS server." 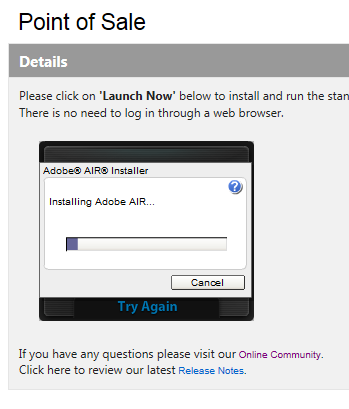 ** Note: Administrative access is required when installing Adobe AIR. 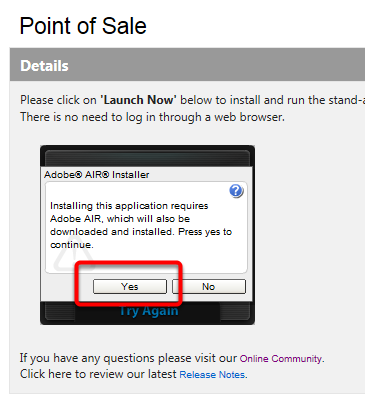 Administrative access is also required when installing an Adobe AIR application to a location that is not writeable by the current user account. If you do not have write permissions, contact your systems administrator. Once the P.O.S. 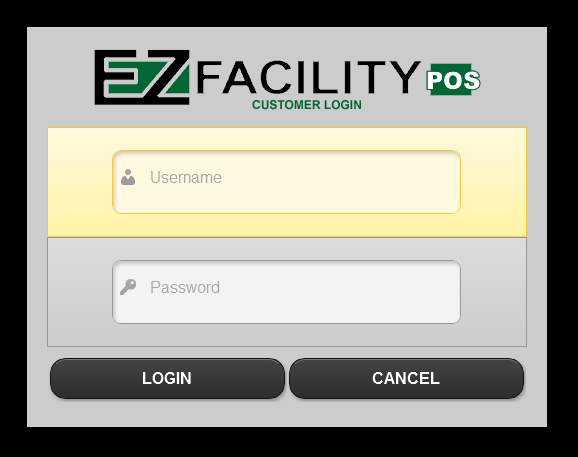 application has been installed you can log in.